Peace is possible in our lifetime! This is the message that the successful fourth round of peace talks between the Government of the Republic of the Philippines (GRP) and the National Democratic Front of the Philippines (NDFP) has conveyed. The Philippine Ecumenical Peace Platform (PEPP) congratulates both panels and the third-party facilitator, the Royal Norwegian Government (RNG) with the help of the Dutch Government, for this positive development. The outcome of the talks shows that the concerns of the people are central to resolve the decades-old armed conflict in our land. It is a signpost of hope after the impasse of these past two months. The GRP and NDFP have agreed on the following major points: Implementation of the Comprehensive Agreement on Respect for Human Rights and International Humanitarian Law (CARHRIHL) and Joint Agreement on Safety and Immunity Guarantees (JASIG); Release of NDFP Listed Prisoners; Results of the Proceedings of the Reciprocal Working Committees on Social and Economic Reforms (RWCs-SER); Ceasefire; Release of Armed Forces of the Philippines (AFP) and Philippine National Police (PNP) elements in New People’s Army (NPA) Custody; Socio-economic Projects; and Enhancing Liaison between the Panels. They also scheduled the Fifth Round of Formal Talks on May 26 to June 2, 2017. This goes to show that much can be achieved through principled negotiations. We commend the efforts of the Reciprocal Working Committees on Social and Economic Reforms (RWCs-SER) to prioritize the issue of landlessness as a fundamental provision for the Comprehensive Agreement on Social and Economic Reforms (CASER). This is essential in addressing the roots of the armed conflict. The PEPP would like to underscore the importance of CASER in the negotiations and we enjoin the people to get involved to help both parties achieve a meaningful agreement that will be felt by people at the grassroots level, especially the poor and the marginalized. We also appreciate the signing of the Agreement on an Interim Joint Ceasefire which “…shall take effect upon the approval and signing of the ground rules and shall be effective until a permanent ceasefire is forged”. The PEPP commits to mobilize our constituents including the resources of our churches. We will help ensure that this interim joint ceasefire can attain its objectives of providing a conducive atmosphere for the GRP-NDFP negotiations and an “…enabling environment for the eventual and early signing of CASER”. We will also continue our commitment to help facilitate the release of AFP and PNP elements in the custody of the NPA as well as the NDFP listed prisoners. “Let us then pursue what makes for peace and for mutual upbuilding” (Romans 14:19). 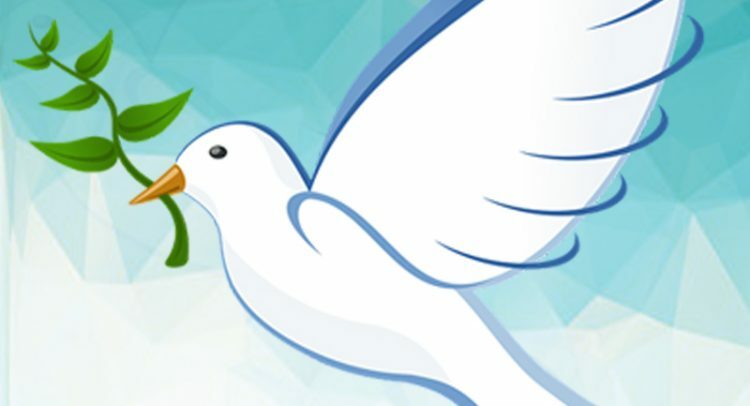 Let us all join hands and support the peace talks as a viable way for justice and righteousness to reign in our land. Issued and signed on this day, 7th day of April 2017. ARCHBISHOP ANTONIO J. LEDESMA, S.J., D.D. REV. FR. REX RB REYES, JR.
BISHOP DEOGRACIAS S. INIGUEZ, JR., D.D.